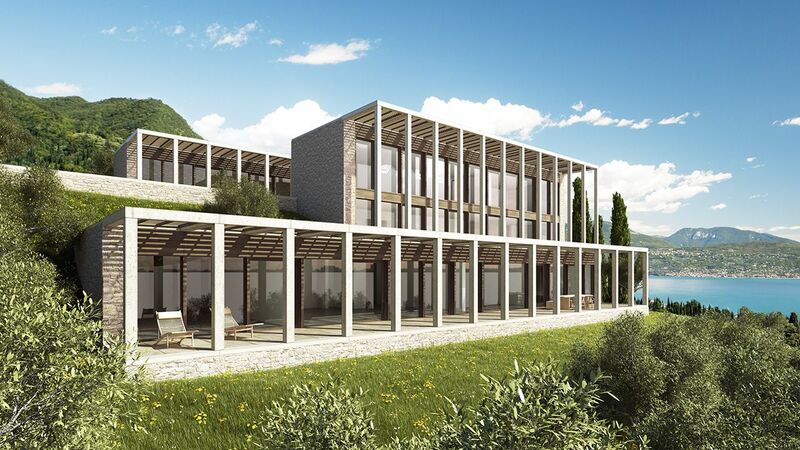 The west bank of Lake Garda is characterised by its mild climate and richly cultivated landscape. 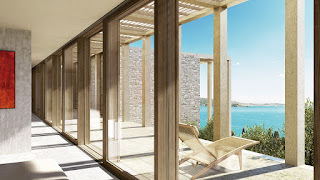 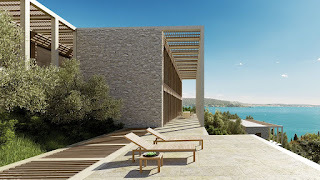 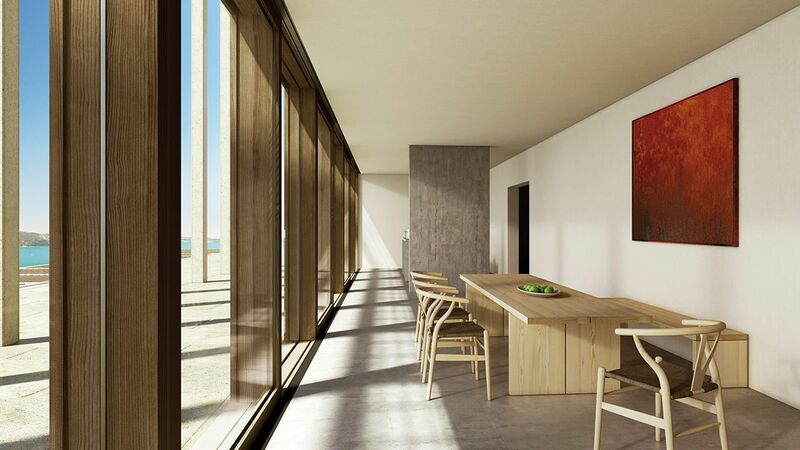 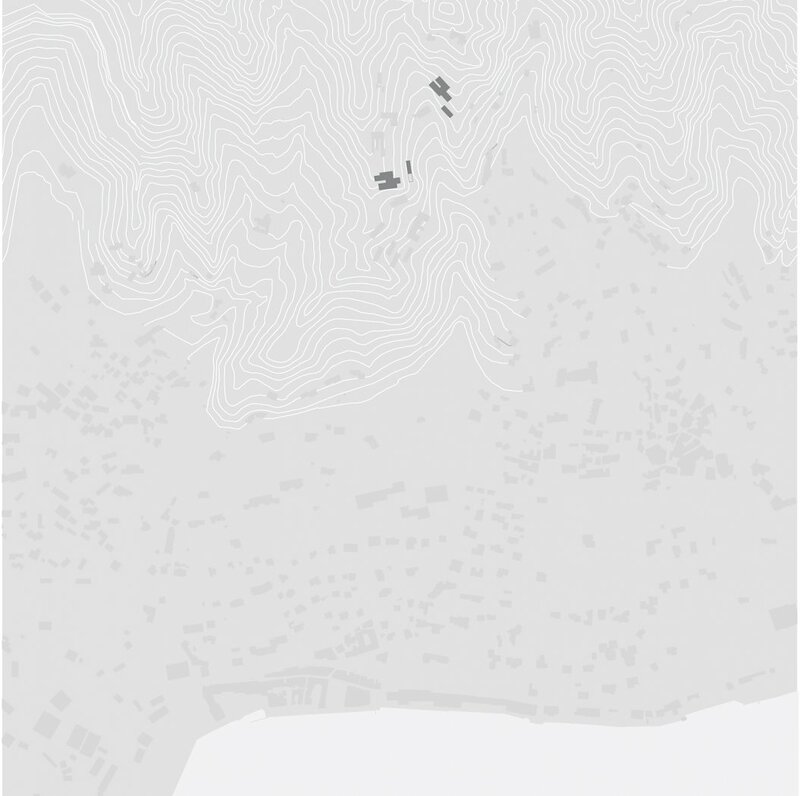 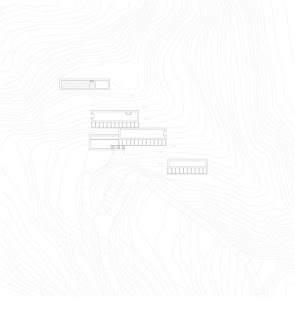 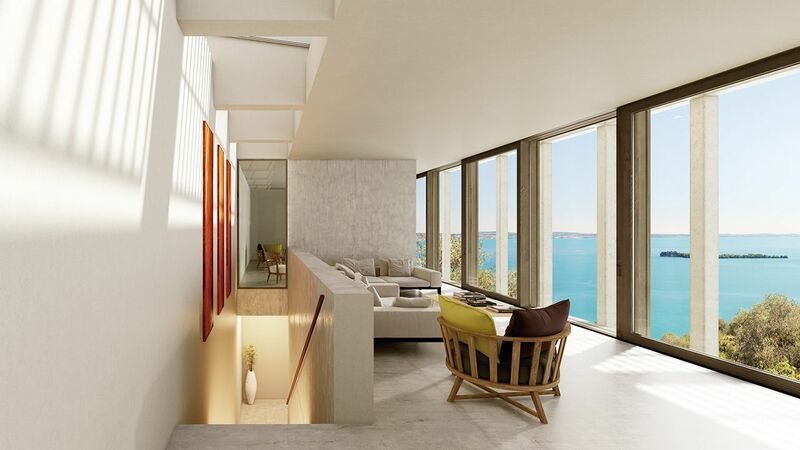 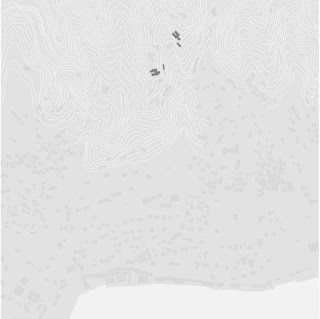 David Chipperfield Architects has built two villas on the hillside looking over the resort town of Gardone Riviera. 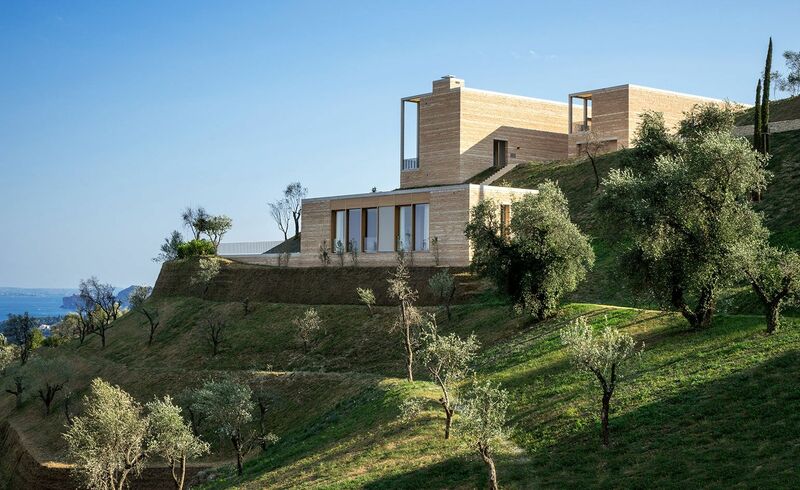 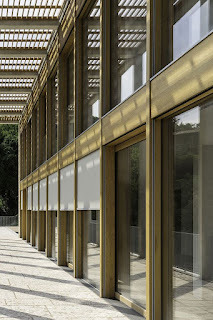 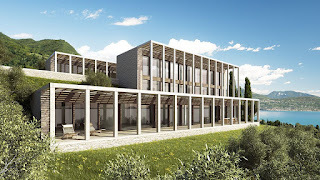 Both buildings are carefully inserted into the landscape with its olive groves and cypress trees. 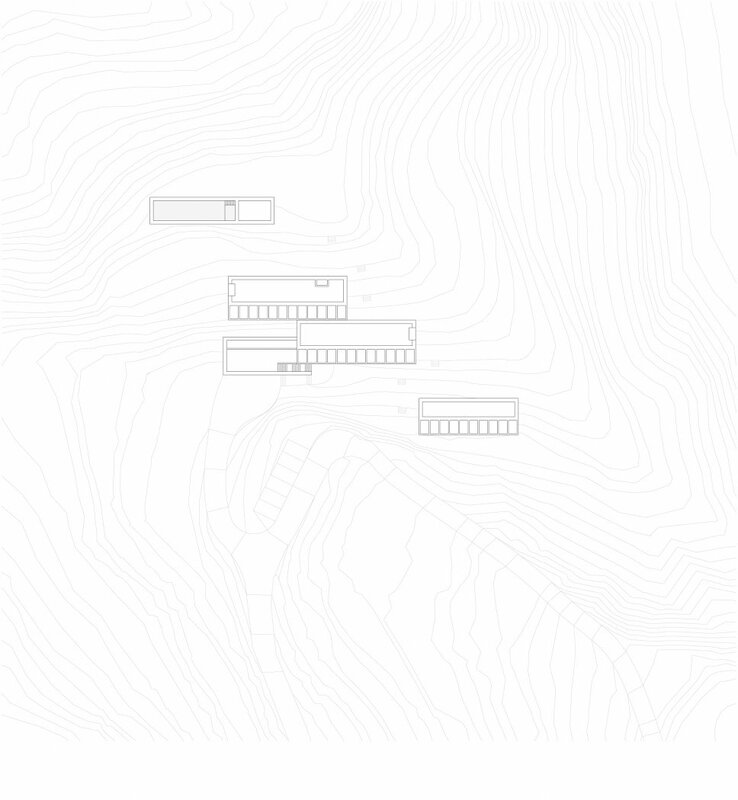 Their volumes are divided into individual one or two storey structures, which are offset to one another following the topography of the hillside. 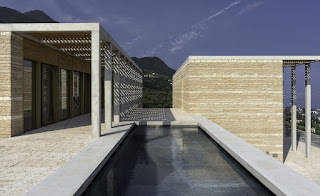 The typology of the villas interprets the architecture of the limonaias, which were built for the cultivation of lemons and are historically typical for the area. 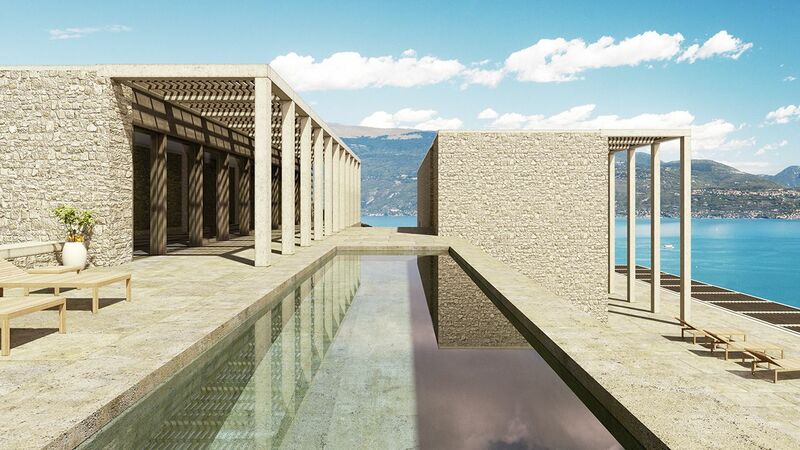 These buildings characterised the western bank of Lake Garda with their pergola-like structures up until the end of the 19th century. 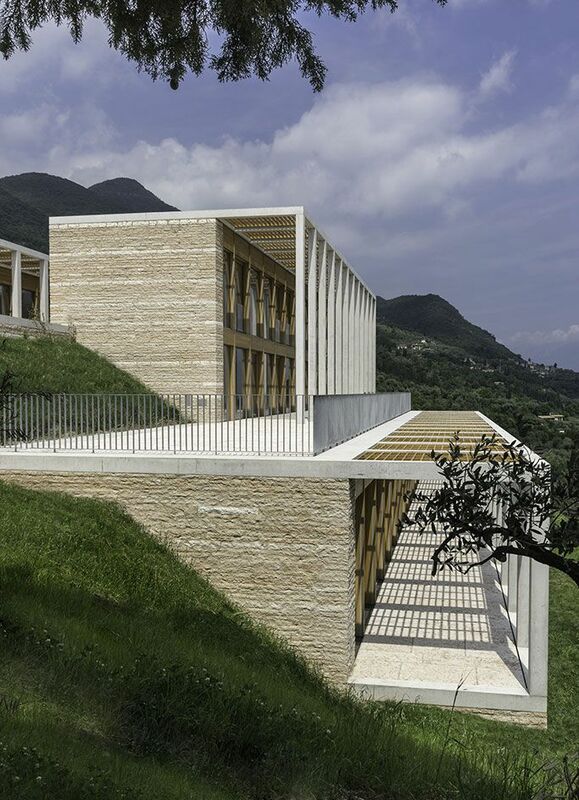 With reference to the limonaias, the building volumes are each framed by three solid exterior walls made of natural stone masonry and built up on a plinth of the same material. 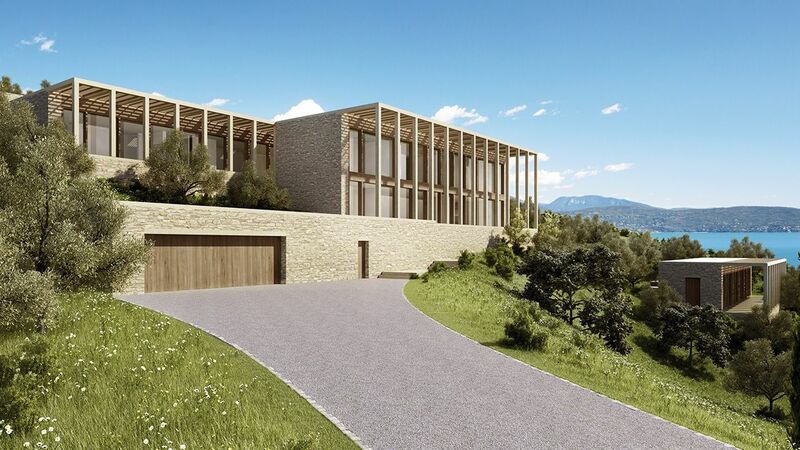 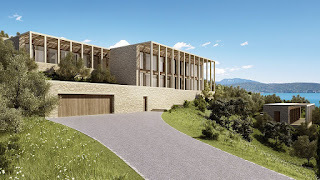 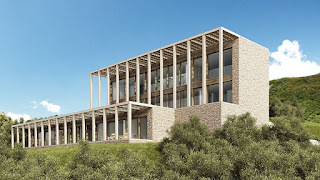 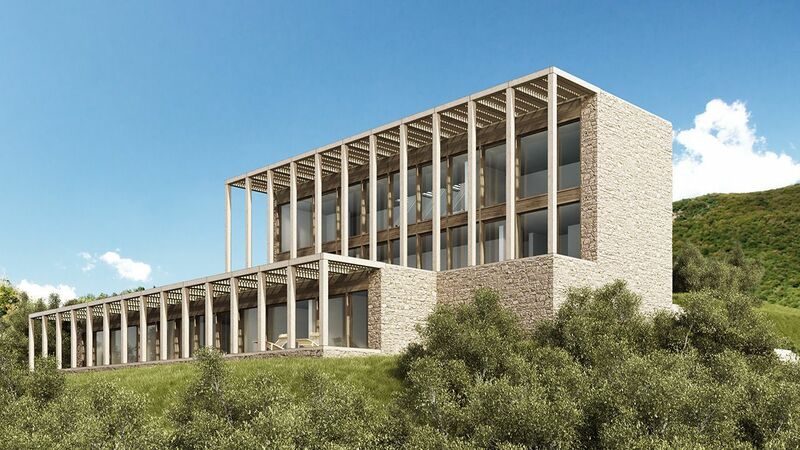 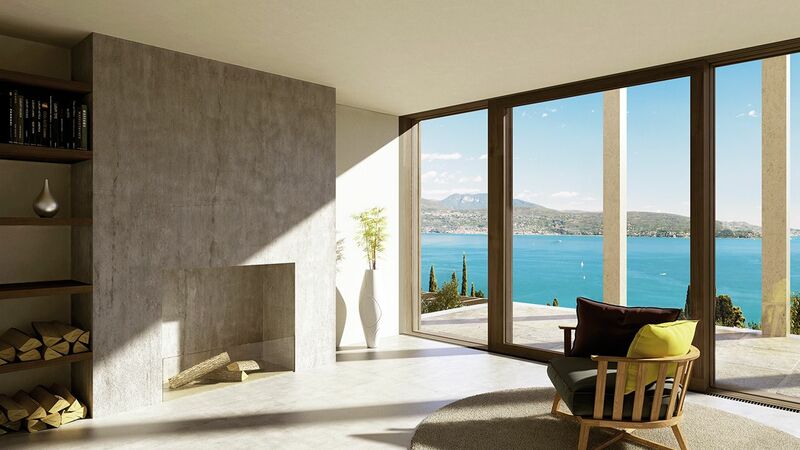 The main elevation facing the valley opens up towards the Mediterranean landscape with room-height windows. Pergolas with slim columns are placed in front of the volumes, echoing the rhythm of the surrounding olive groves. 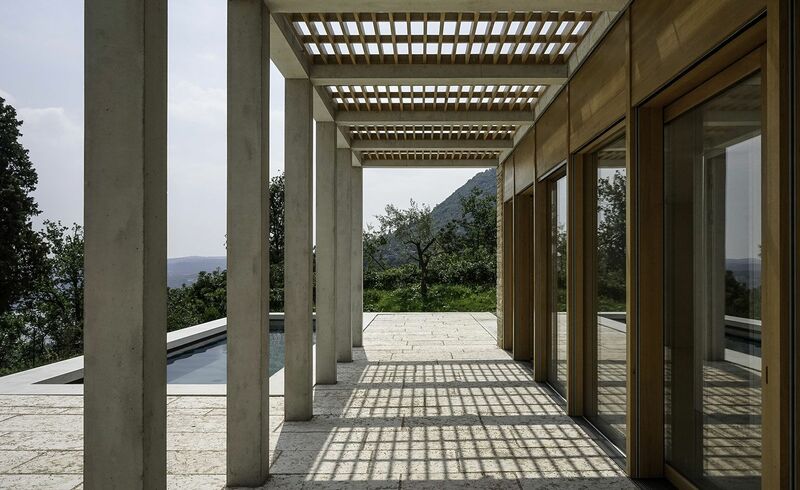 The pergolas provide protection from the sun and extend the interior into a protected outdoor space, which leads to further terraces with outdoor pools. The materials are influenced by the region. The stone for the masonry and terraces comes from local quarries. 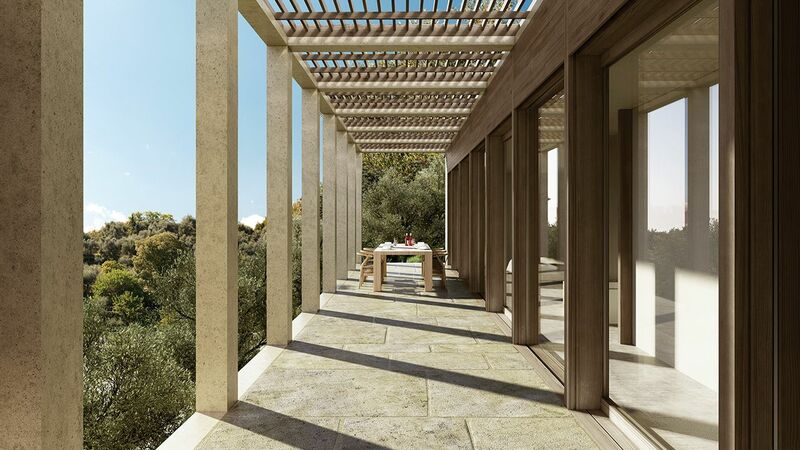 The light roof structure of the pergolas and the window frames are crafted from wood, providing a contrast to the stone. The inner organisation of the buildings further reflects the surroundings. 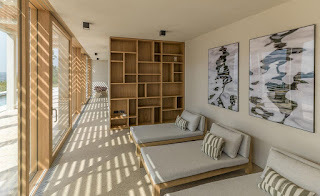 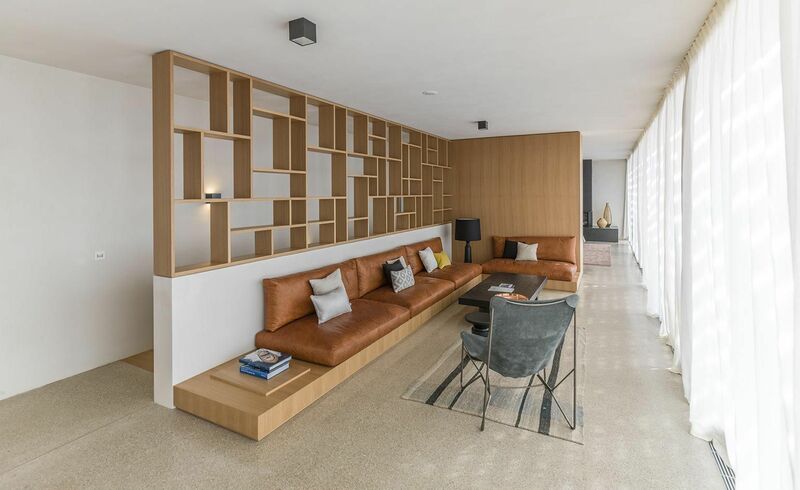 While the auxiliary rooms are located in the rear areas, the living and bedrooms are situated at the front, providing panoramic vistas of the lake and the surrounding landscape. 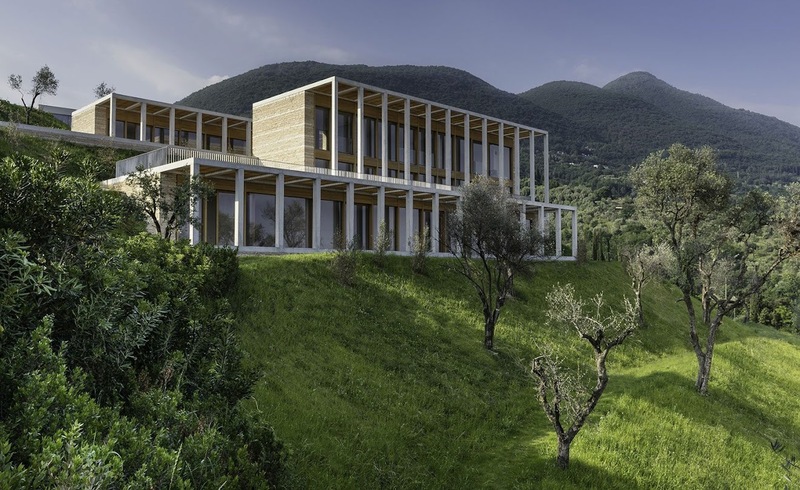 The two buildings were constructed in the context of a larger project, encompassing seven villas, a hotel and an apartment building designed by four architectural practices.